Proper selection of a screw, belt, rotary valve (rotary air lock), or vibratory feeder should be integrated into the material handling system design early in the process. Jenike & Johanson specializes in feeder assessment, whether troubleshooting problems or implementing a new design for a challenging bulk material. During equipment engineering, it carefully considers the flowability of the bulk material, as determined through flow properties testing. 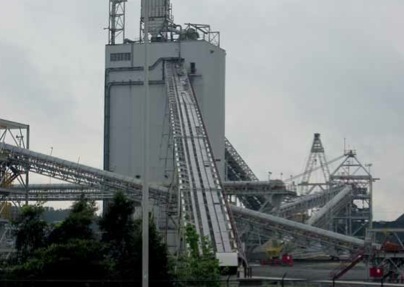 This approach eliminates typical problems seen in bulk material handling designs when the equipment is specified without a complete understanding of a material’s flow behaviour or unique characteristics such as abrasiveness, friability (attrition or breakage of particles), or dustiness. vibratory: interface design to ensure mass flow discharge. operational requirements: e.g., speed, power, torque, or special features. After completion of the feeder’s functional design, Jenike & Johanson can provide mechanical design and structural engineering services that result in drawings needed for fabrication. This additional engineering task is a vital step for achieving successful feeder implementation. Jenike & Johanson can also supply custom engineered equipment. From concept – design – engineering – optimization – fabrication – supply. Solids Pump® – gas sealing screw for dosing solids into pressurized systems. Reliable flow often depends upon seemingly small, but very significant, construction details. To ensure that its equipment works effectively, Jenike & Johanson takes responsibility for all such details when we supply custom equipment. The result is dependable, quality equipment with a long life. ABOUT JENIKE & JOHANSON, INC.
Jenike & Johanson is a leading provider of powder and bulk solids handling, processing, and storage technology. Over the past 55 years, it has tested over 10,000 unique powders and bulk solids and worked on more than 7,500 projects, giving its team very broad, real-world and in-depth experience to address a wide variety of bulk material handling and engineering needs.